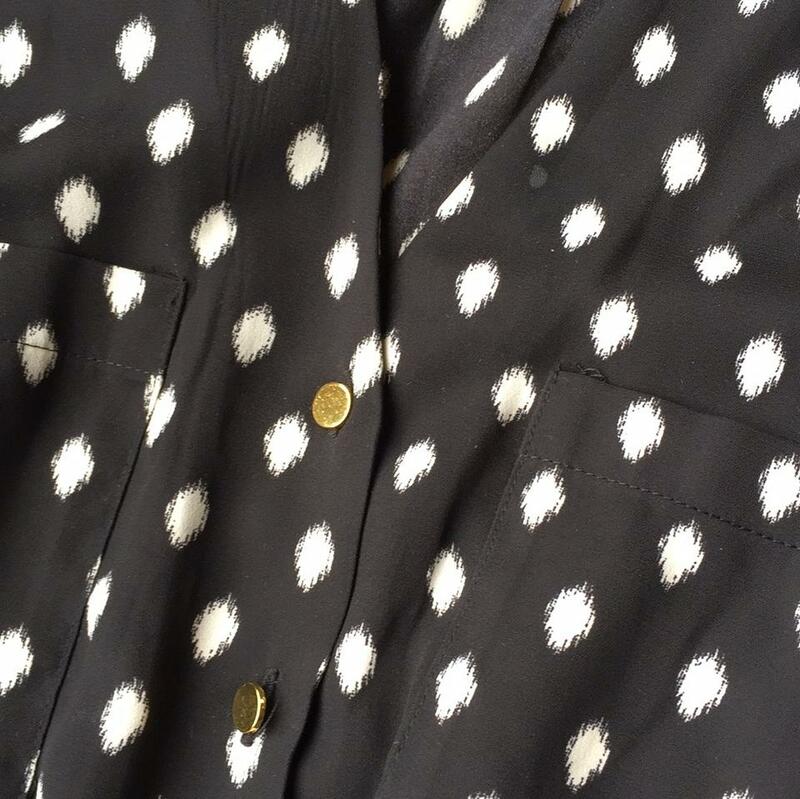 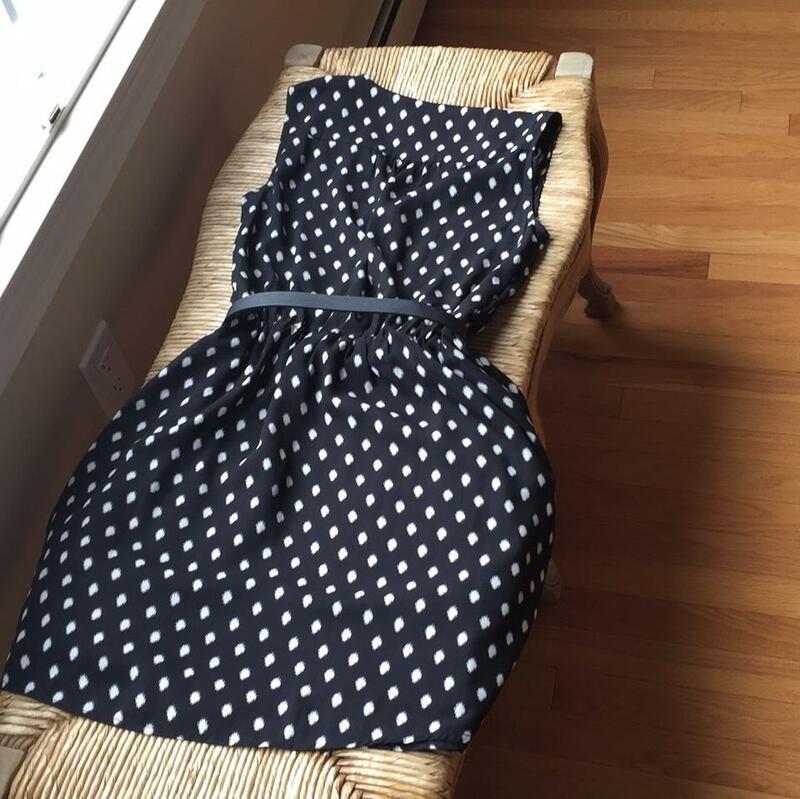 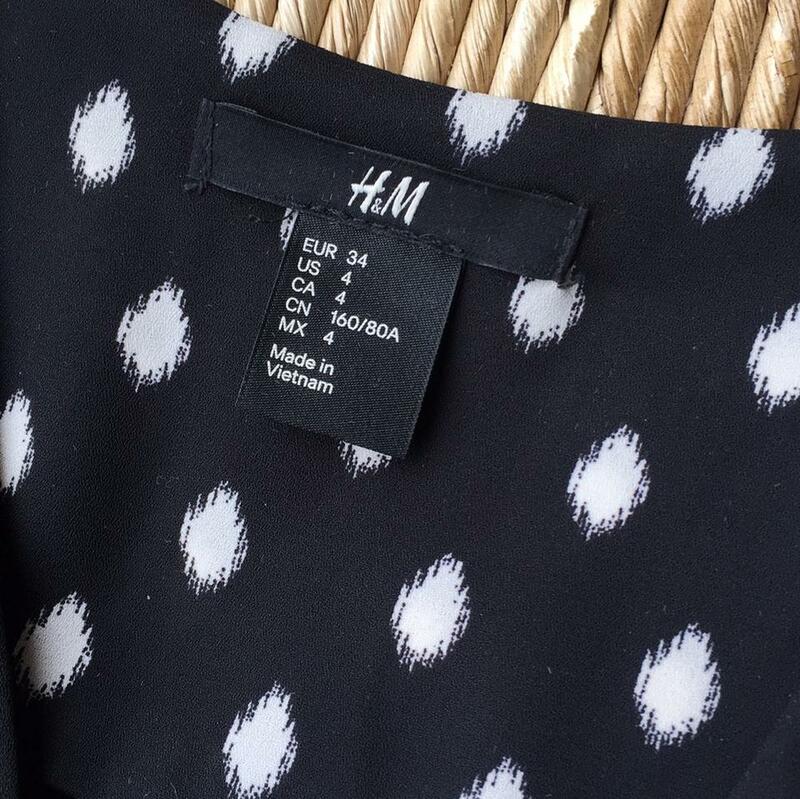 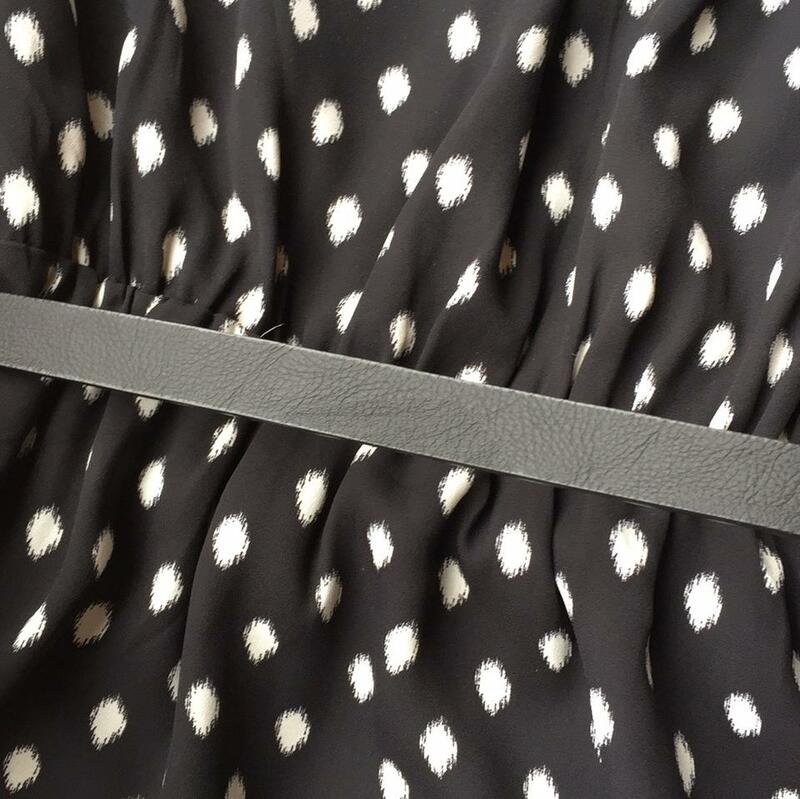 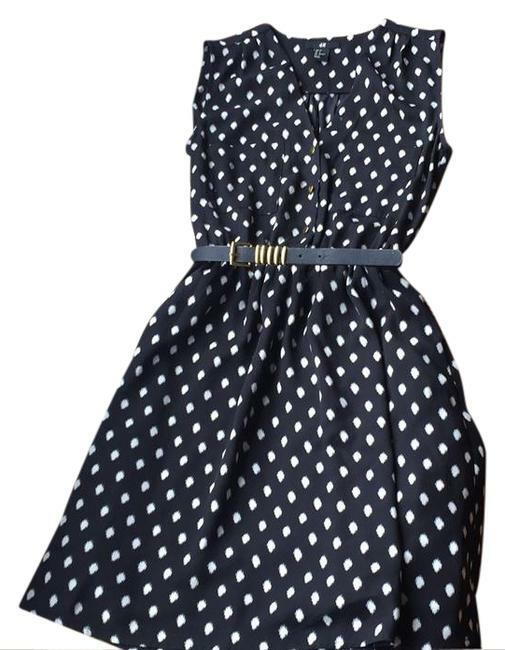 H&M black and white polka dot dress. 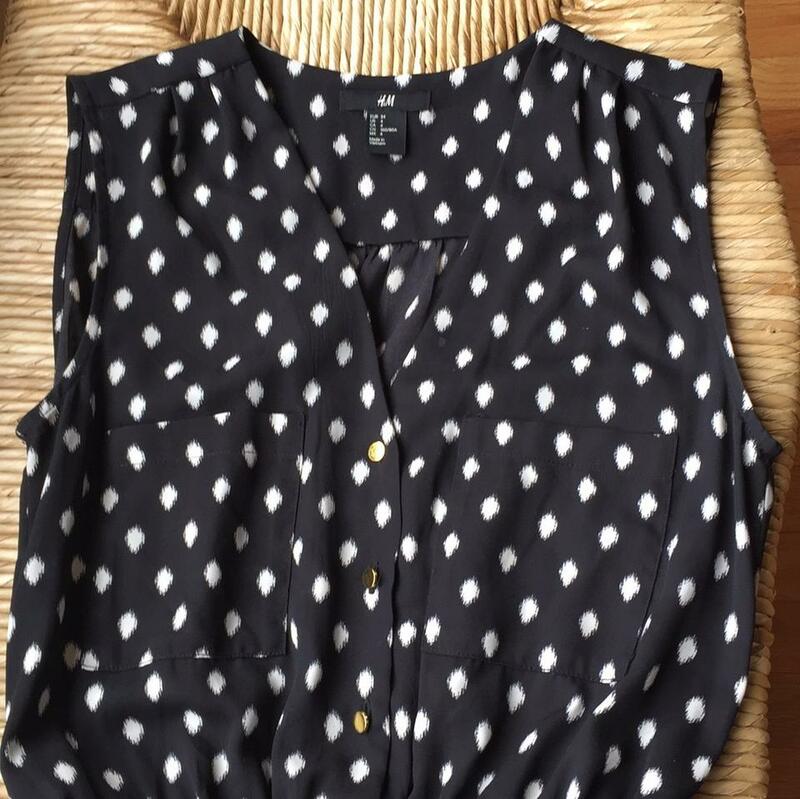 Sleeveless, v-neck front. Front two breast pockets. 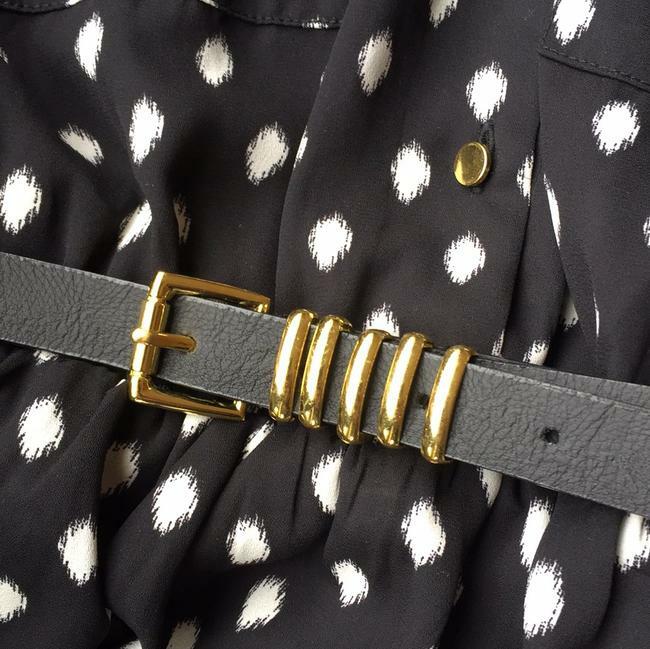 Gold buttons and matching black and gold belt. 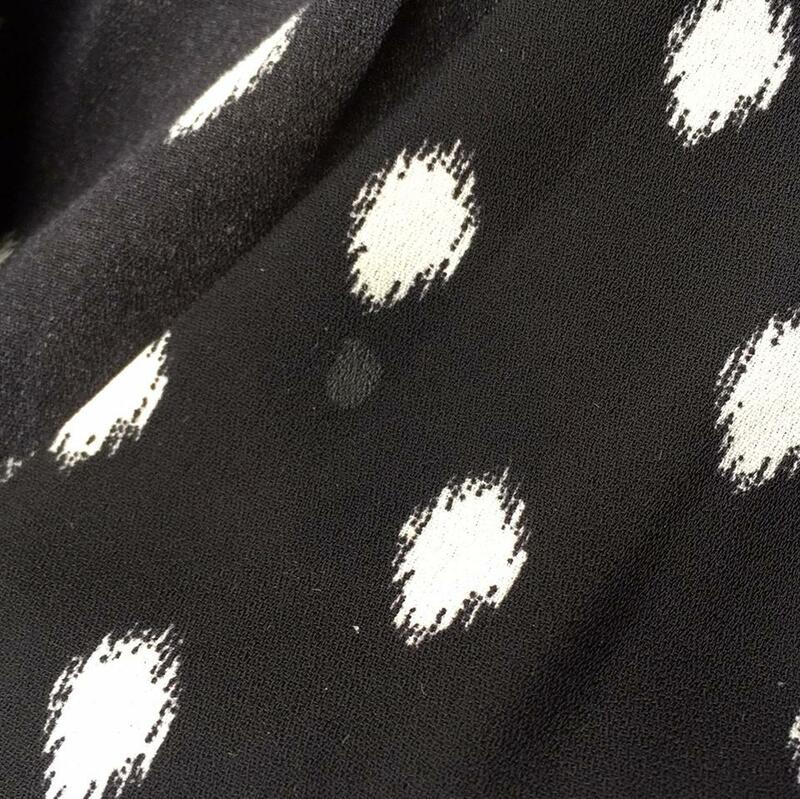 Only sign of wear is light circle stain by v-neck as shown in picture, but blends in with dress pattern.